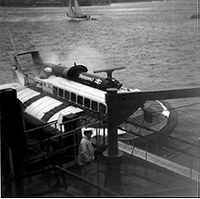 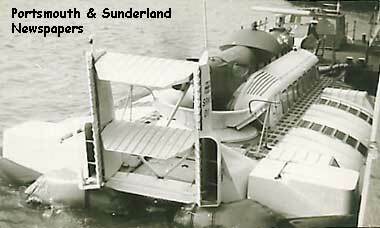 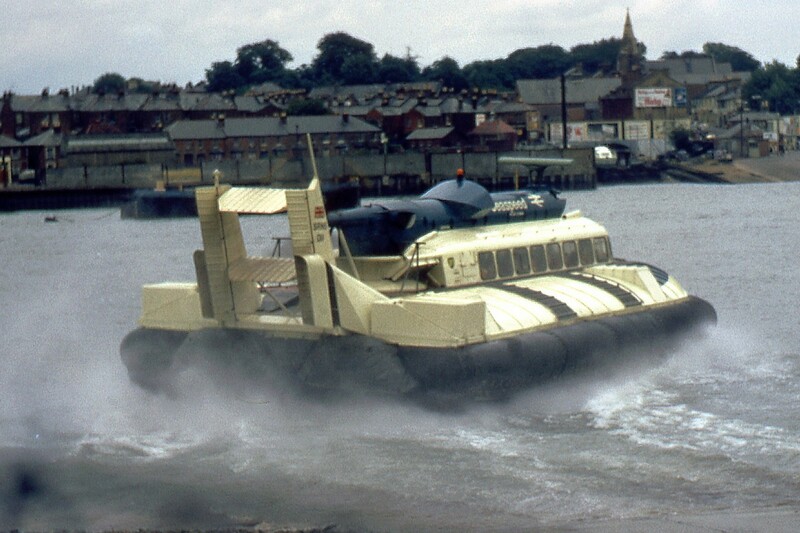 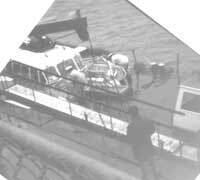 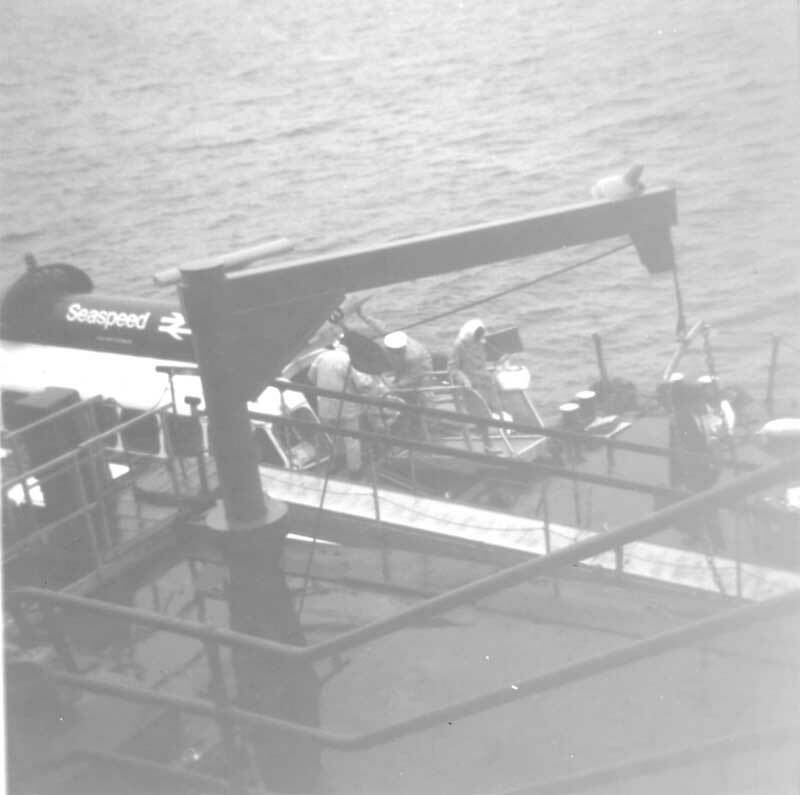 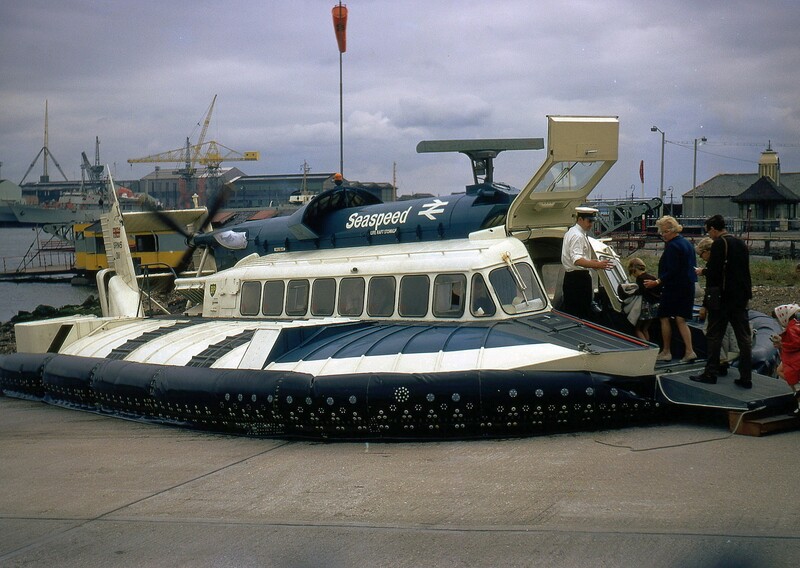 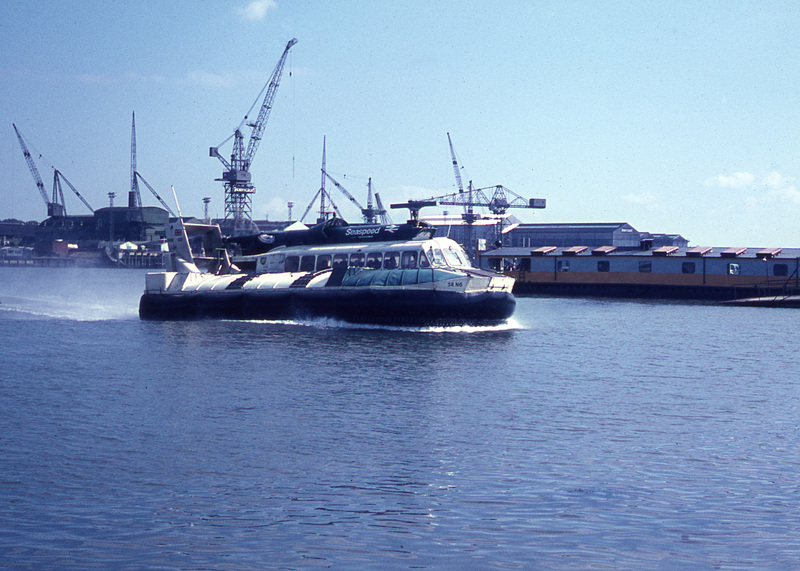 Seaspeed operated two routes using SR-N6's - Cowes to Southampton and Cowes to Portsmouth Harbour. 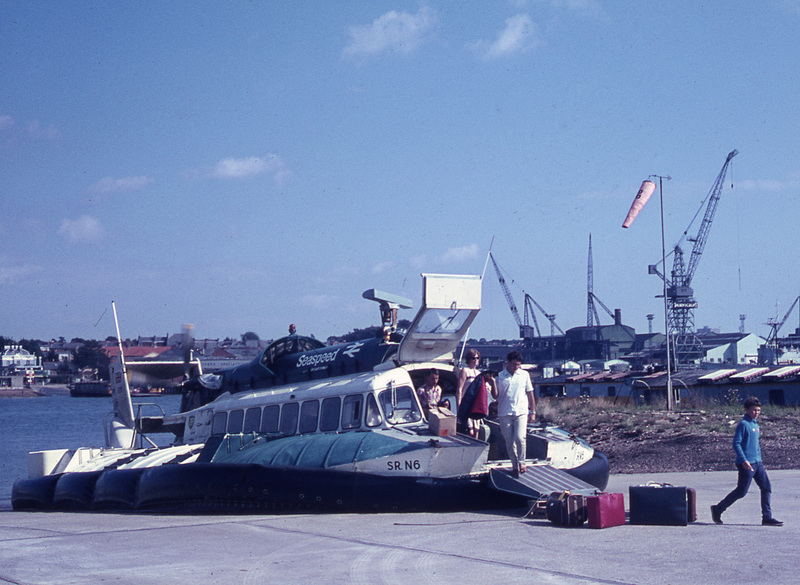 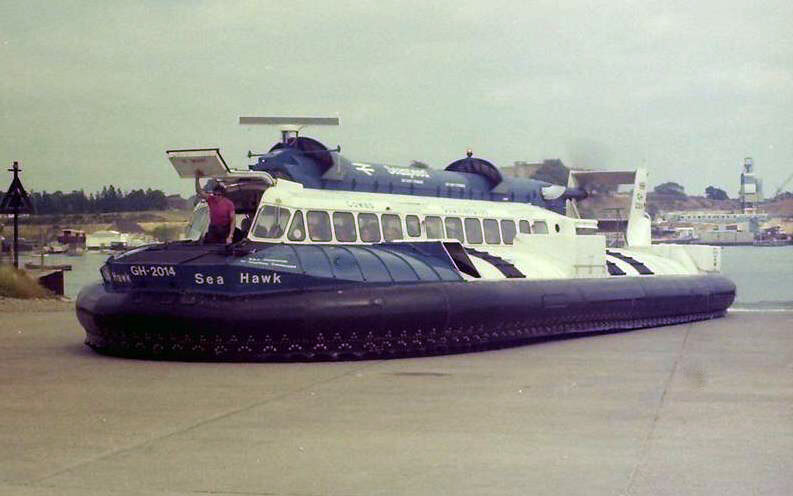 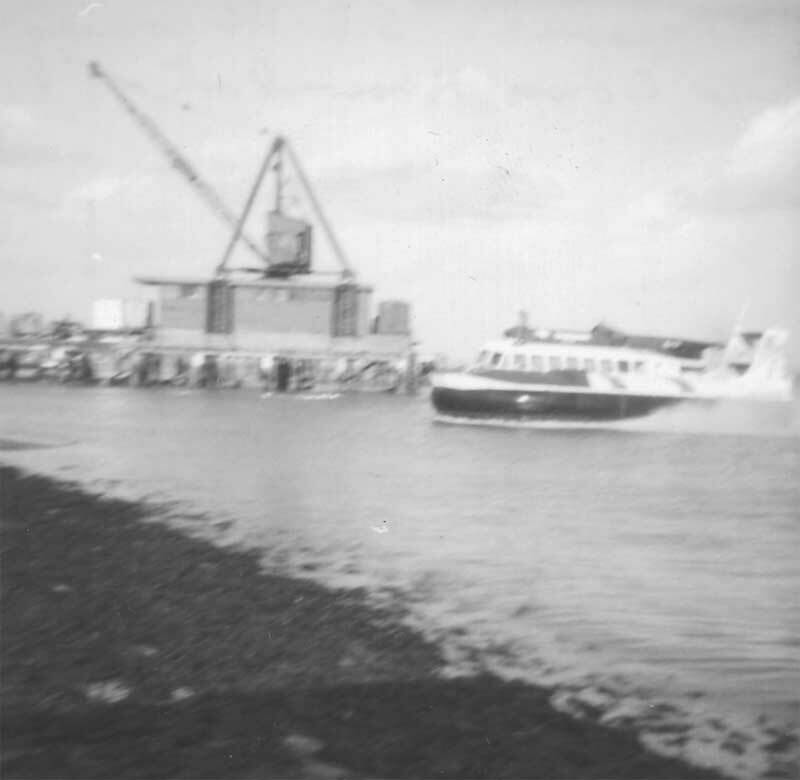 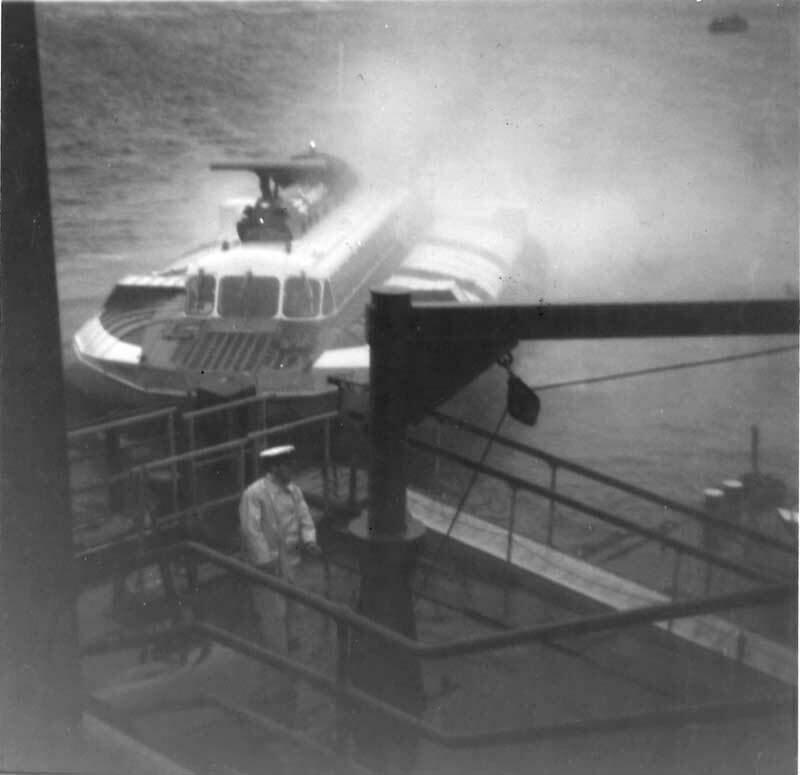 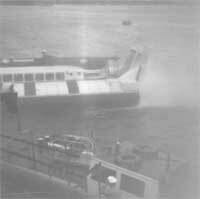 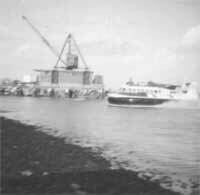 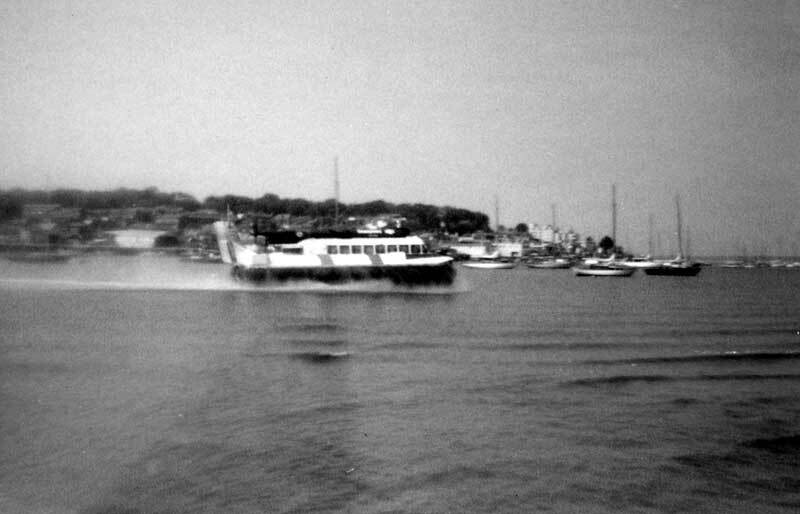 The terminals at Cowes and Southampton were on land while the Portsmouth harbour terminal was a pontoon alongside the IW ferry terminal at the end of the station. 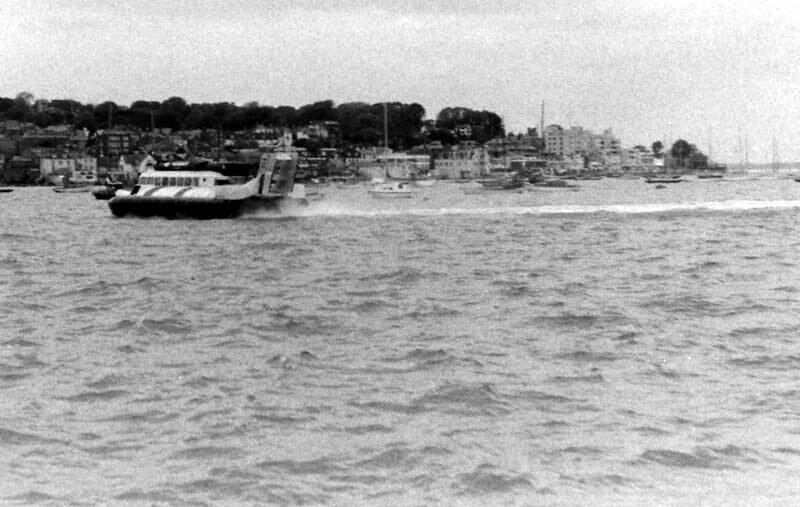 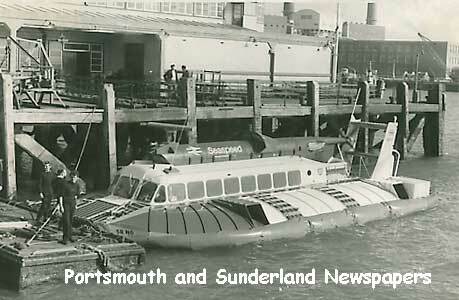 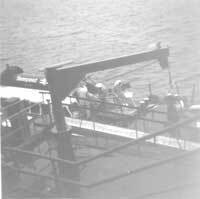 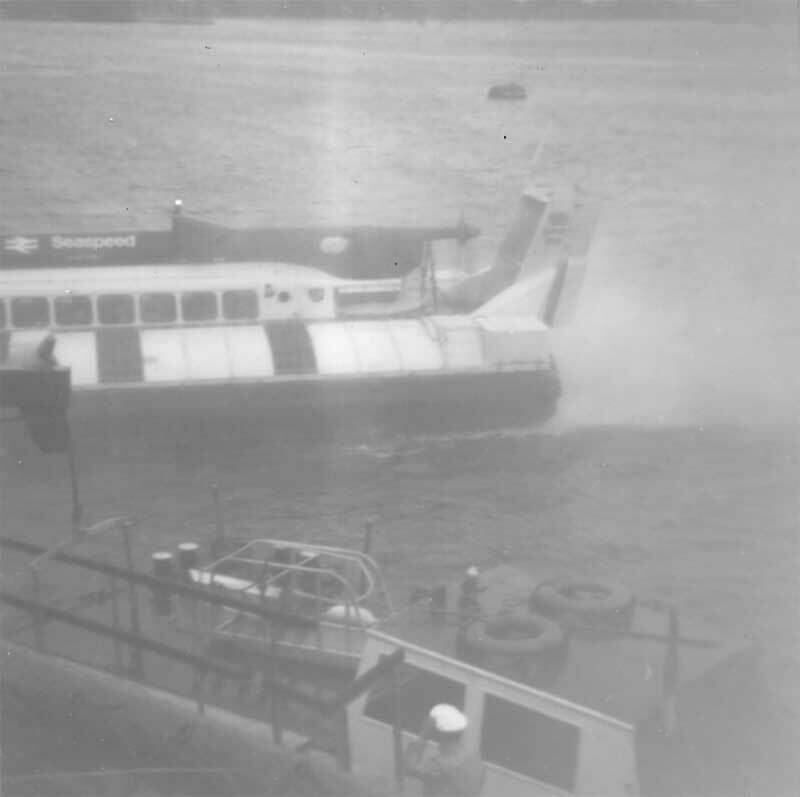 The Cowes/Portsmouth service operated from April 1967 until September 1969. 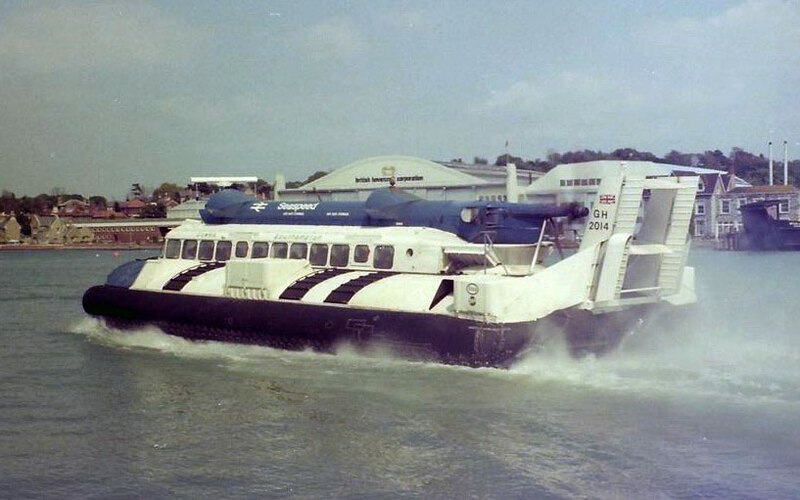 See page on all the Seaspeed Solent services. 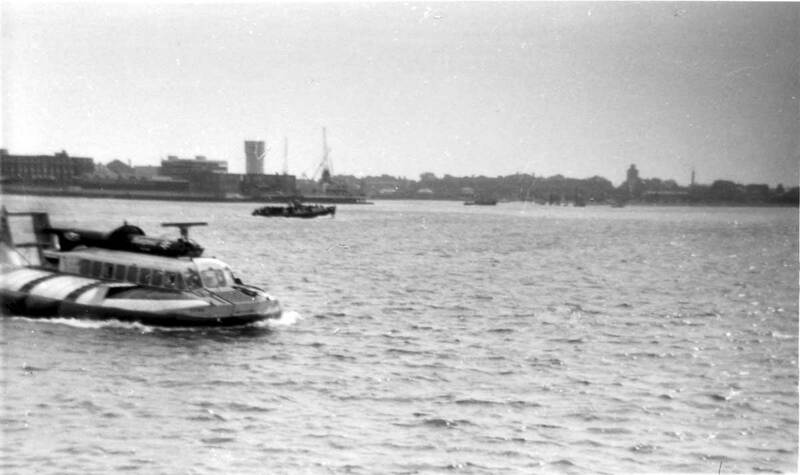 SR-N6 coming into the pontoon at Portsmouth harbour.